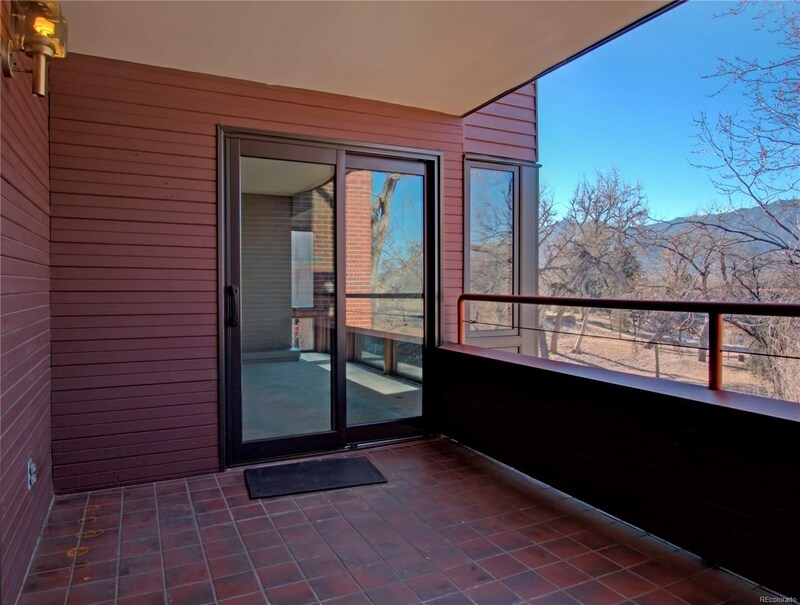 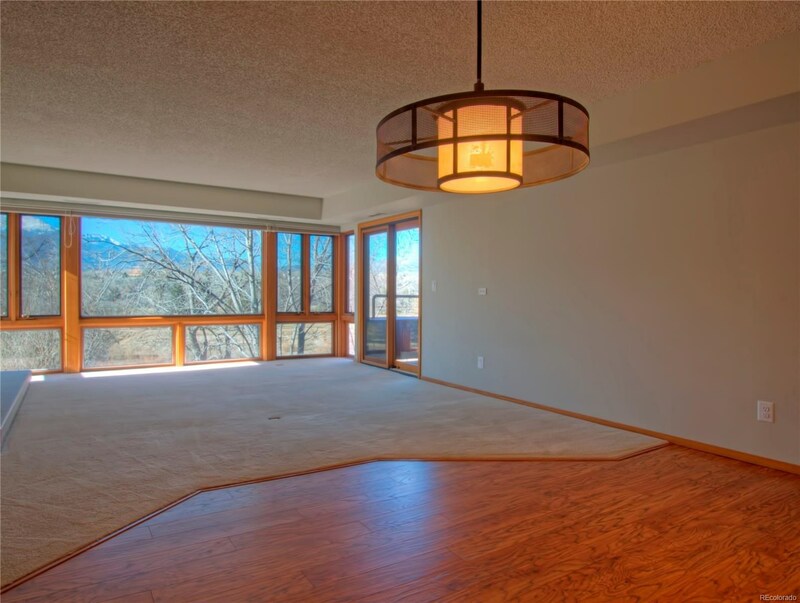 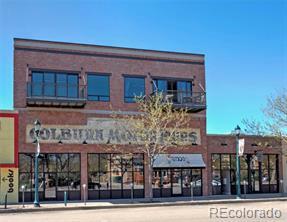 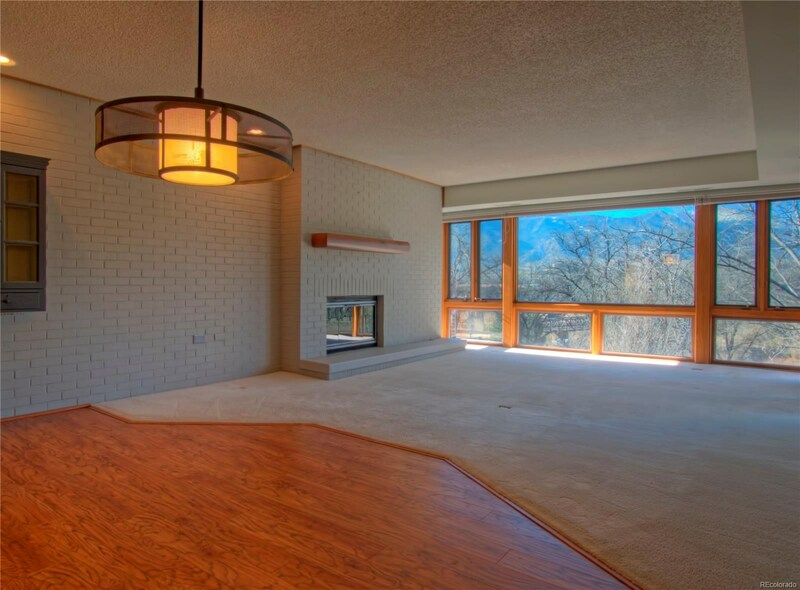 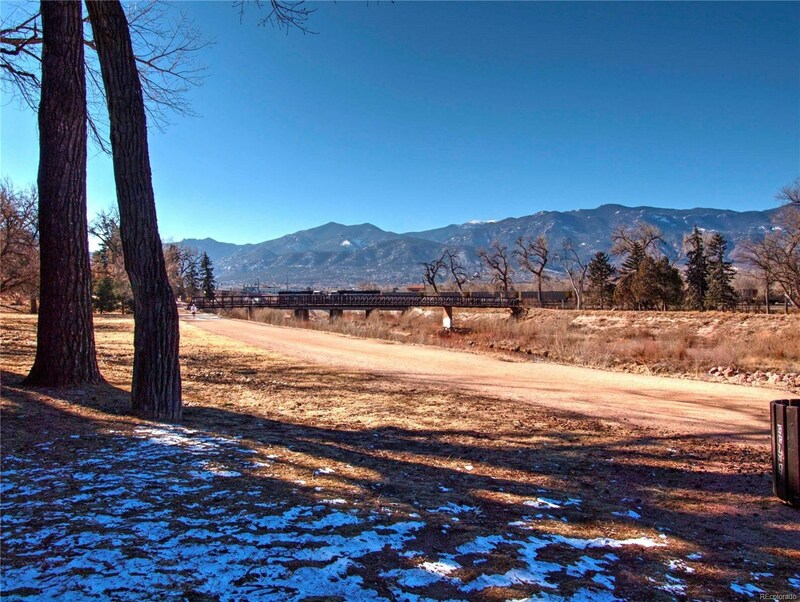 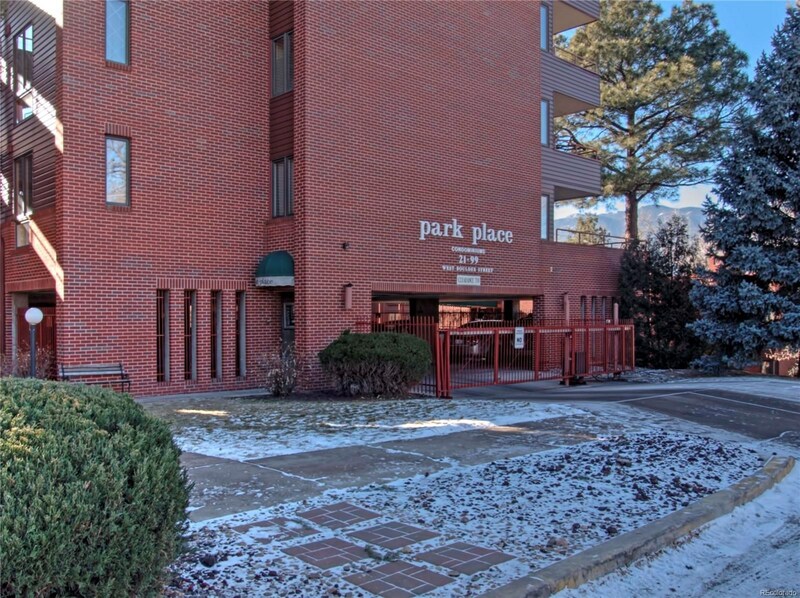 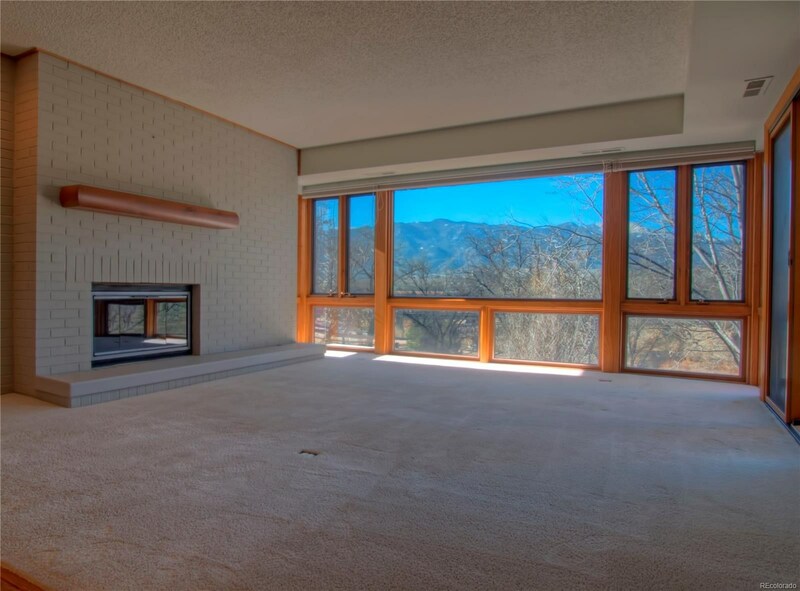 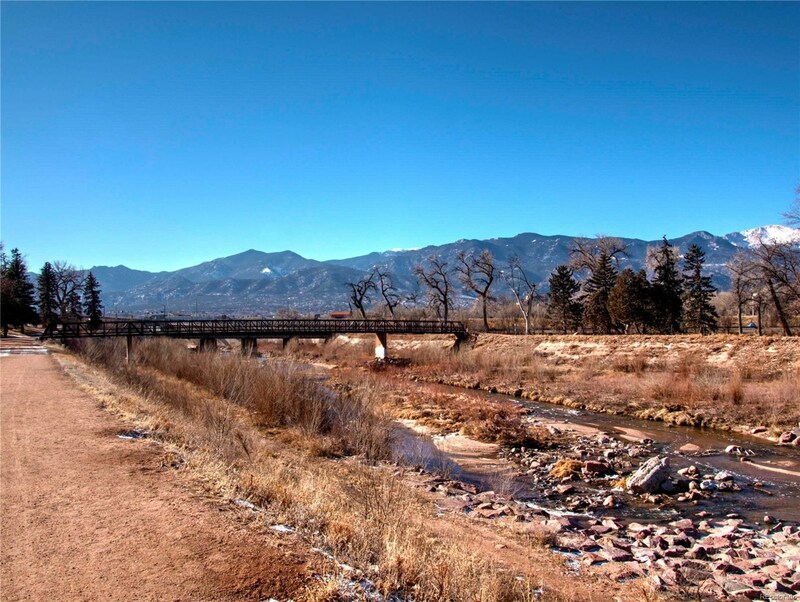 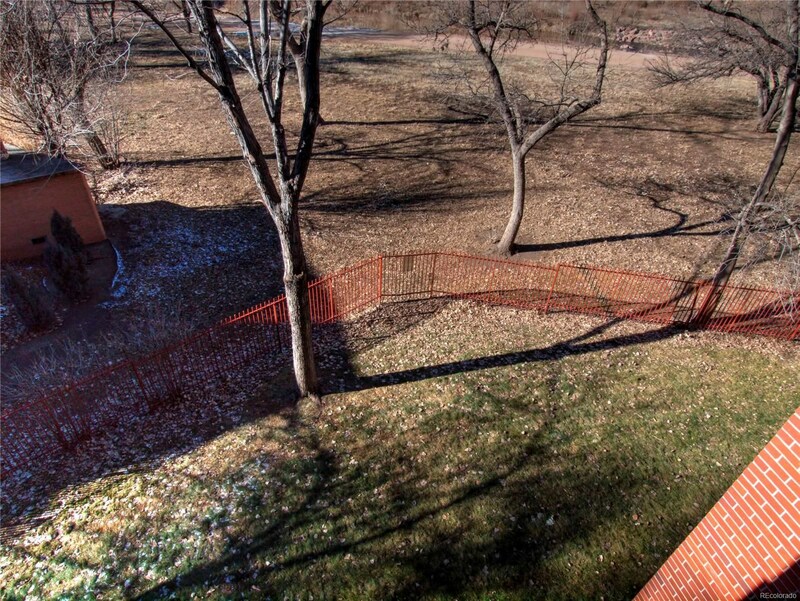 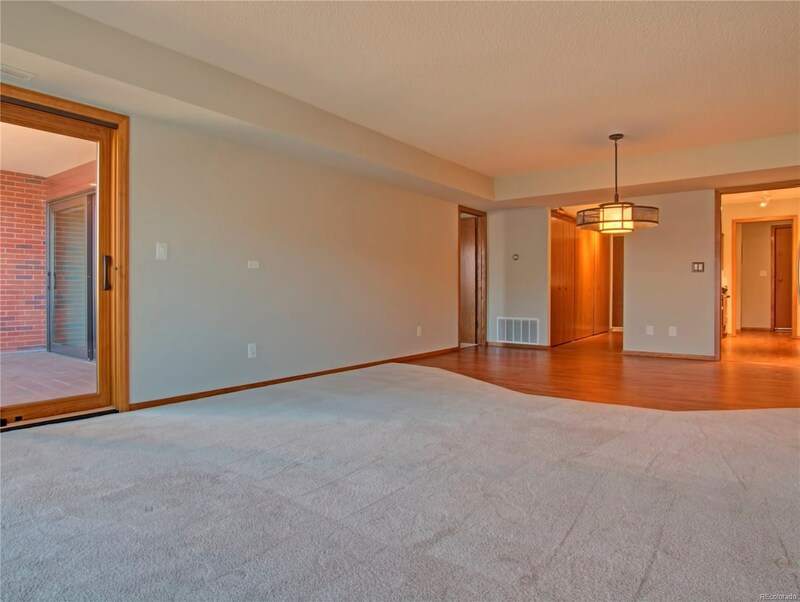 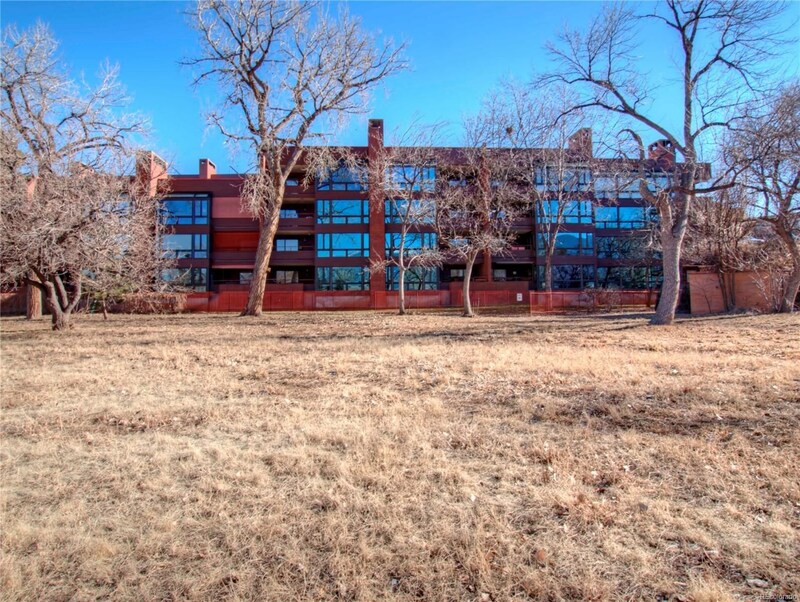 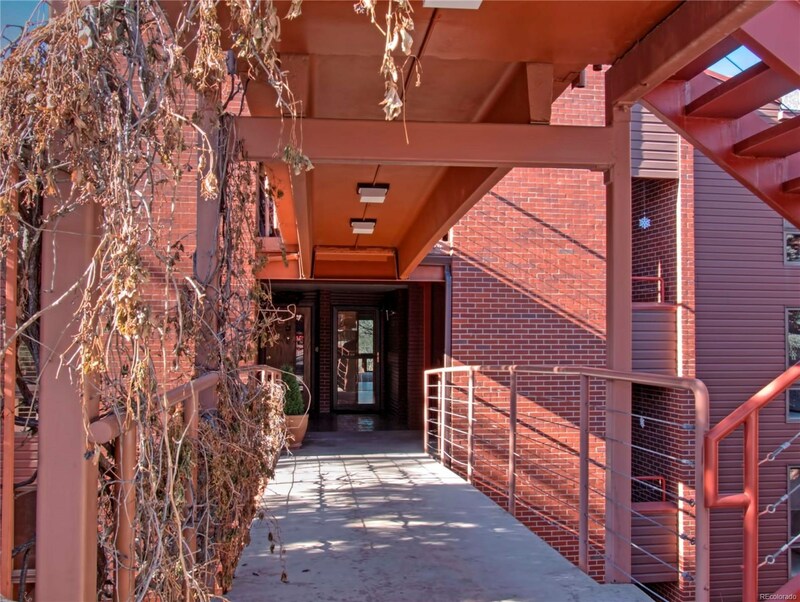 Enjoy living in this downtown condo with stunning Pikes Peak Views right from the living room. 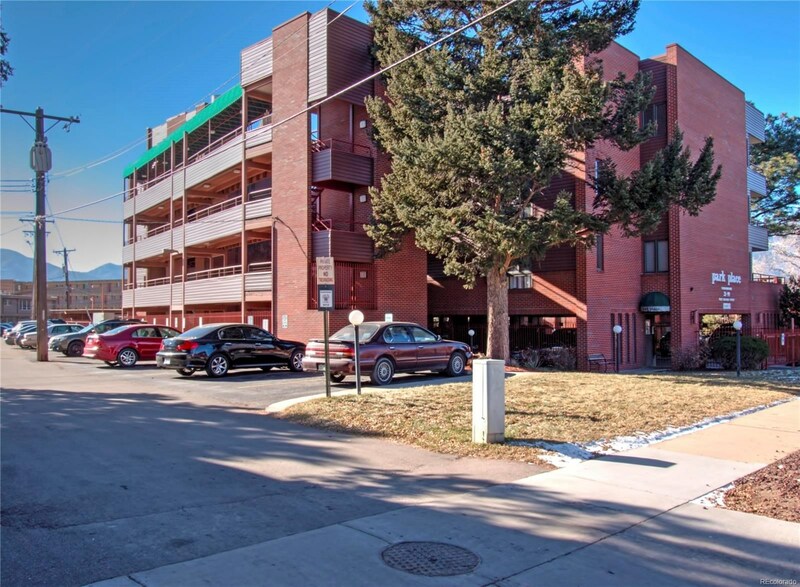 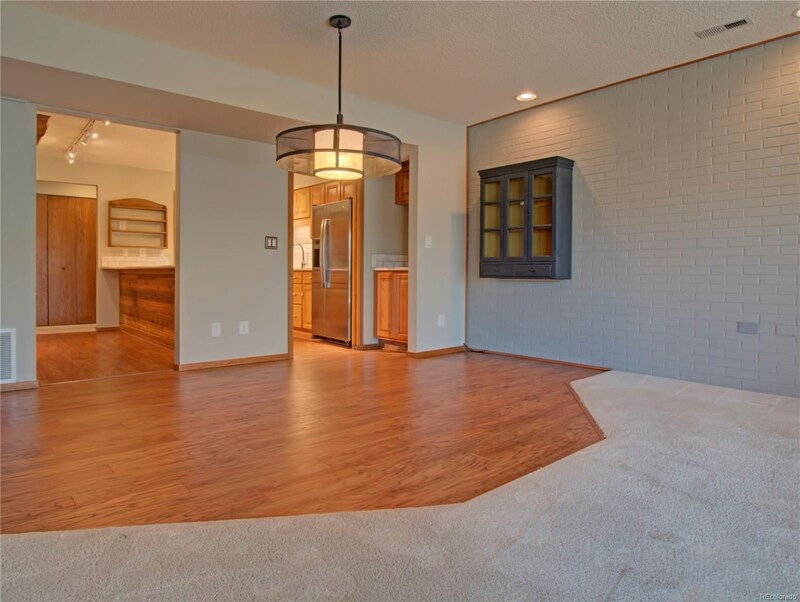 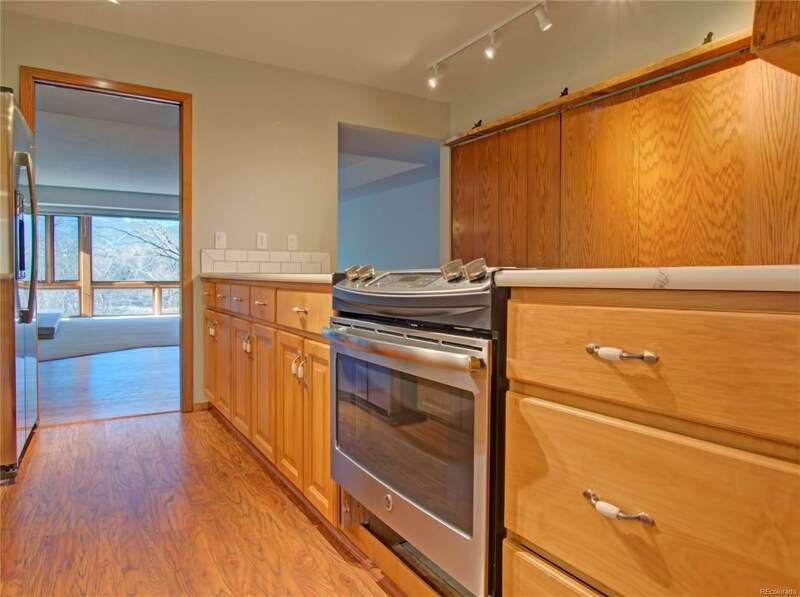 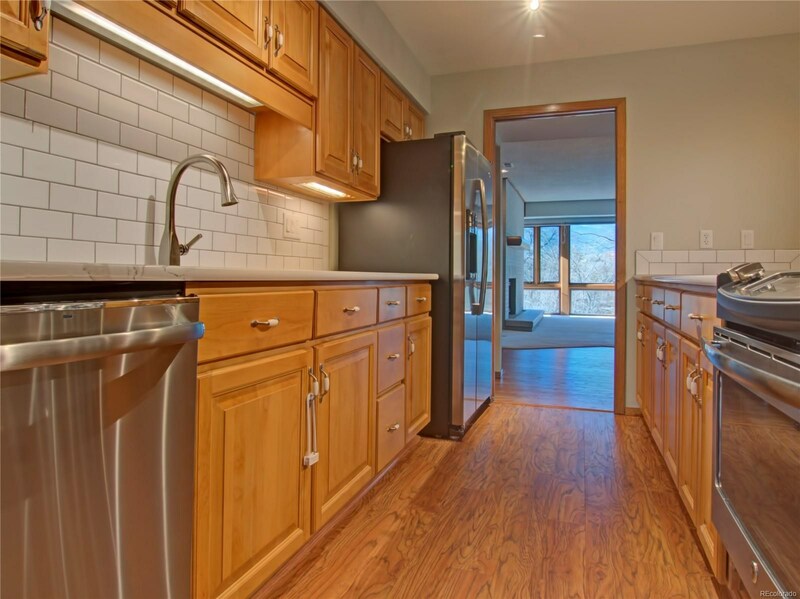 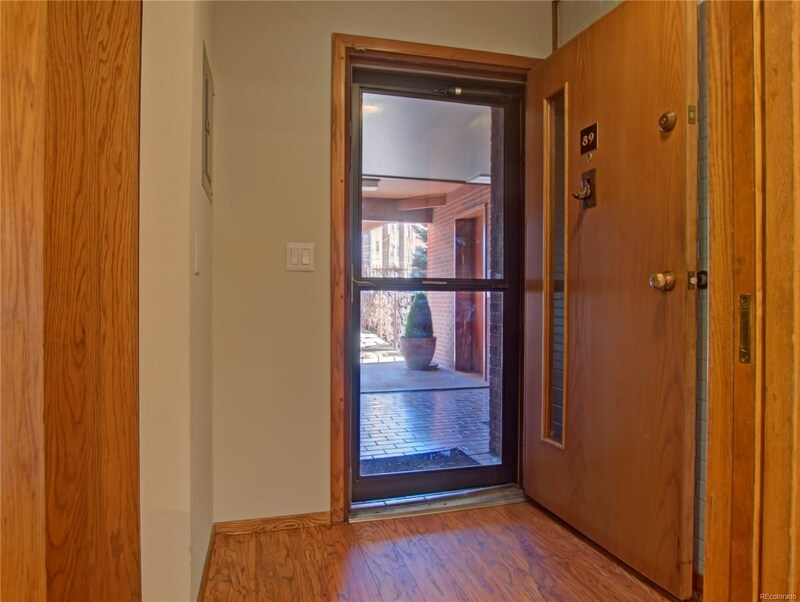 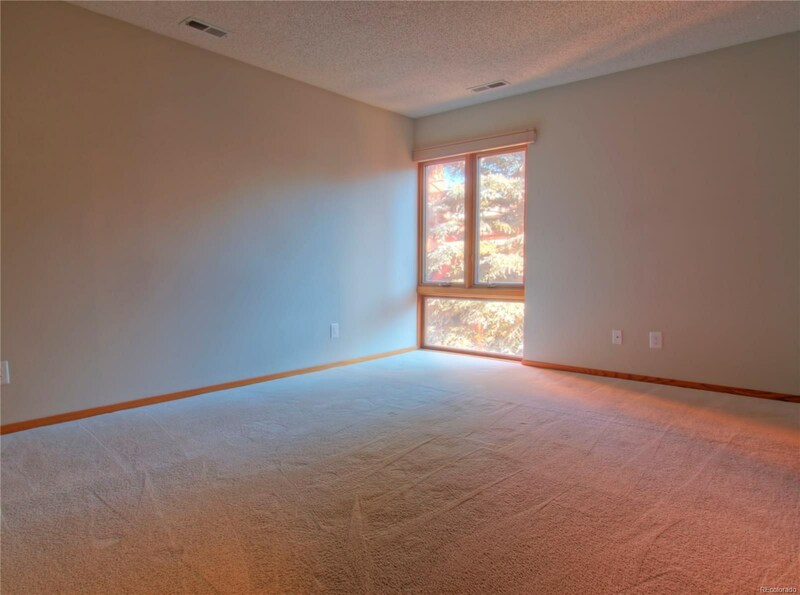 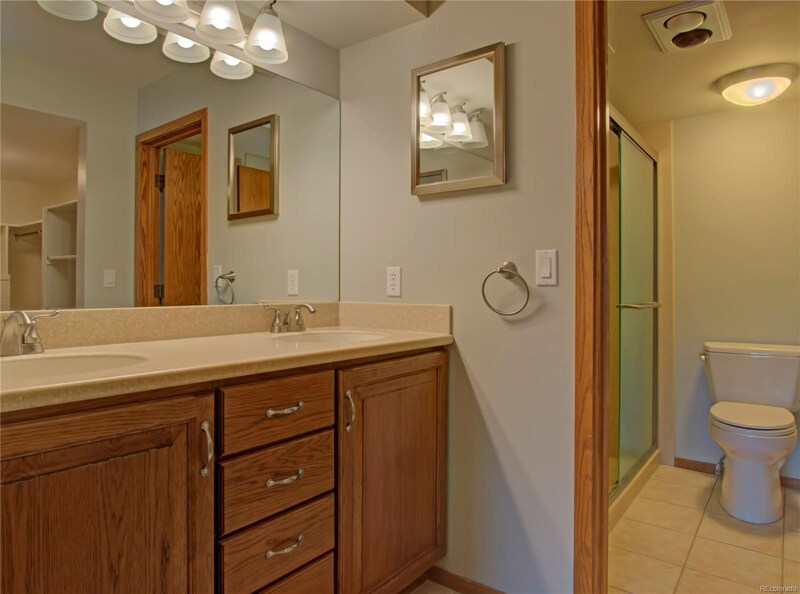 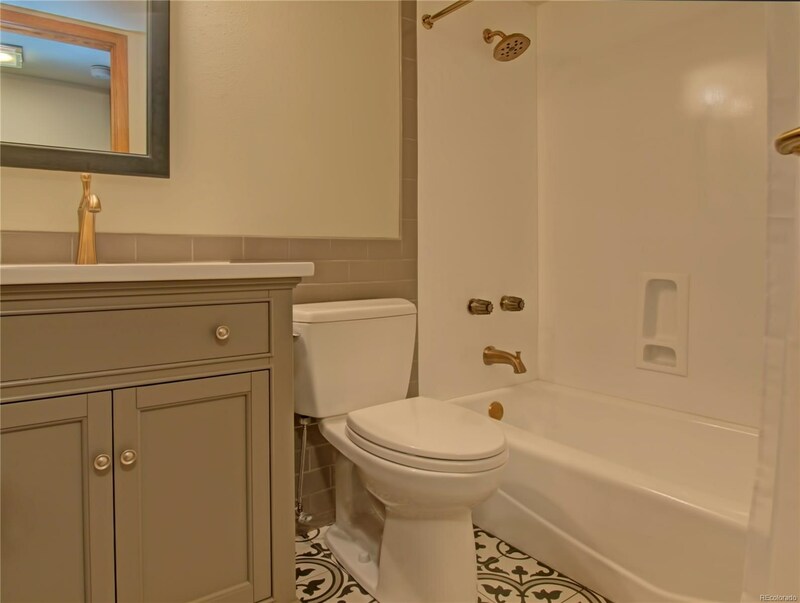 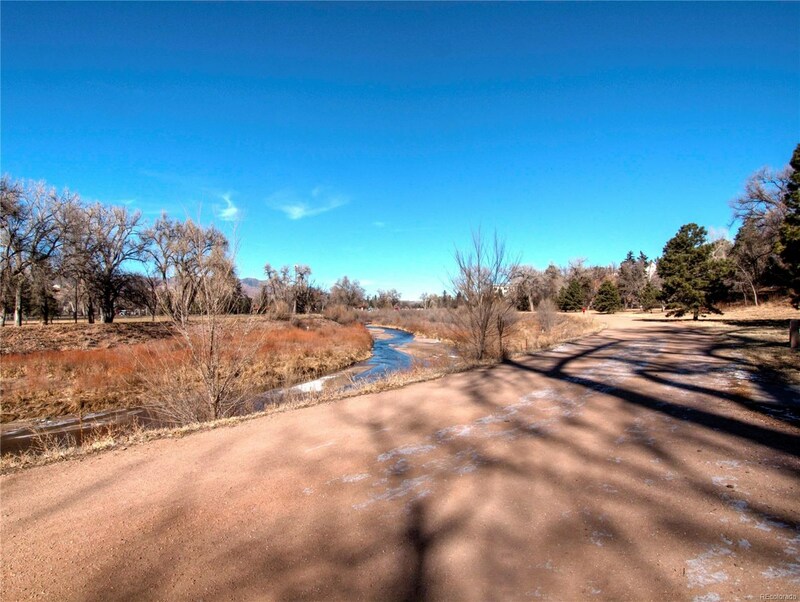 Situated right on Monument Valley Trail and conveniently located- walking distance to Downtown Colorado Springs, restaurants, walking/biking trails, shopping, parks, coffee shops, Colorado College, and Kimball's Movie Theater. 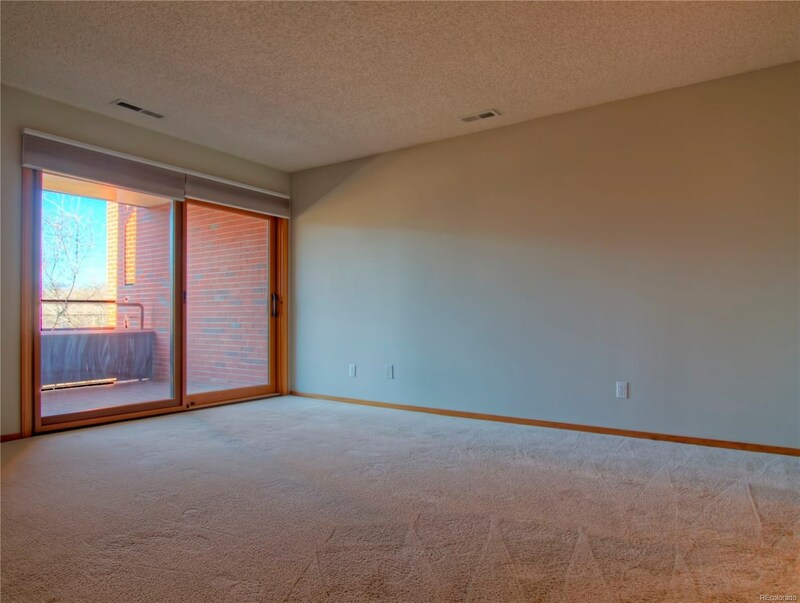 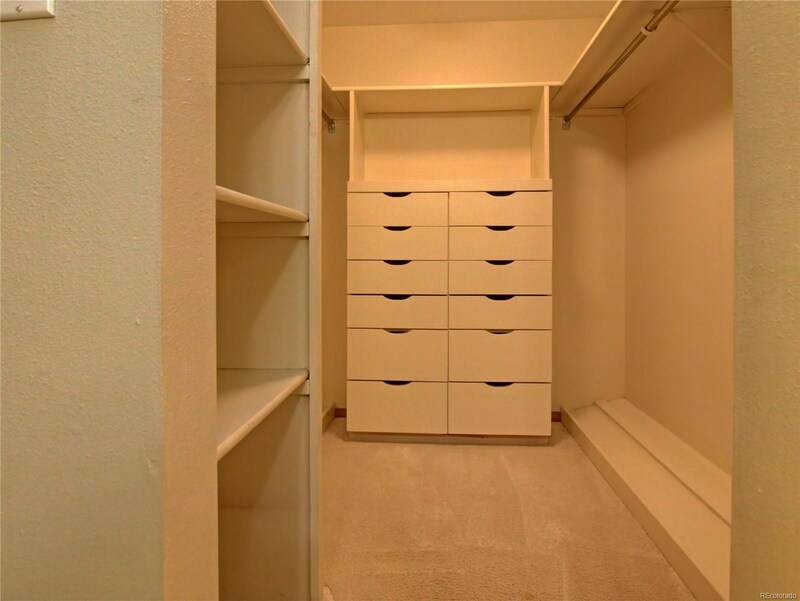 This main level living condo has zero stairs from the moment you park your car and walk directly to the front door from the assigned parking space. 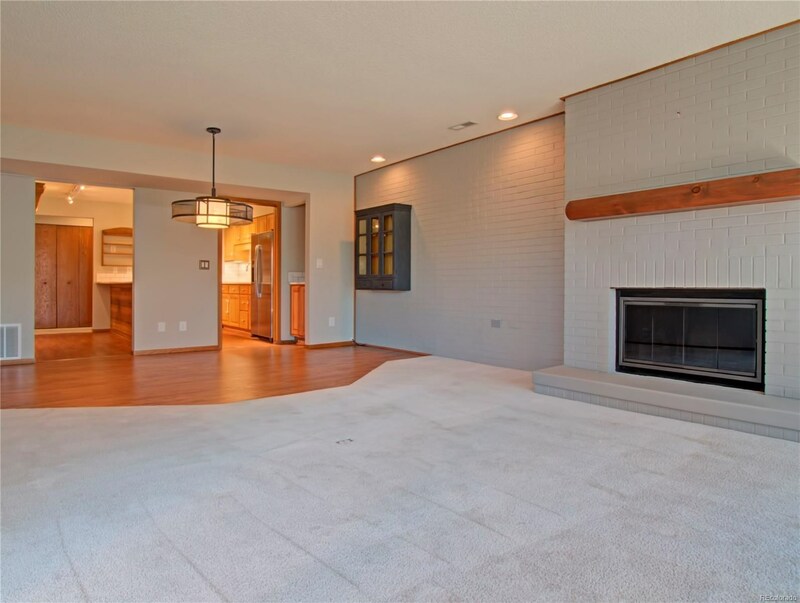 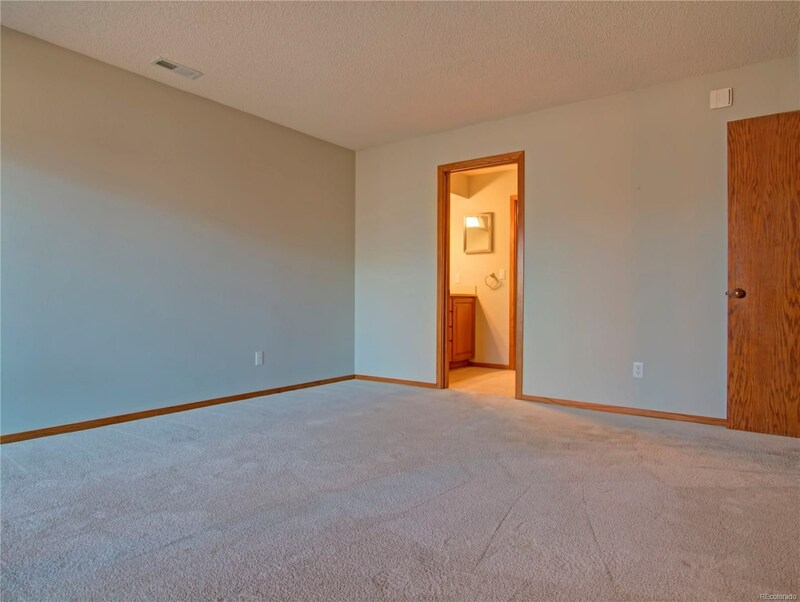 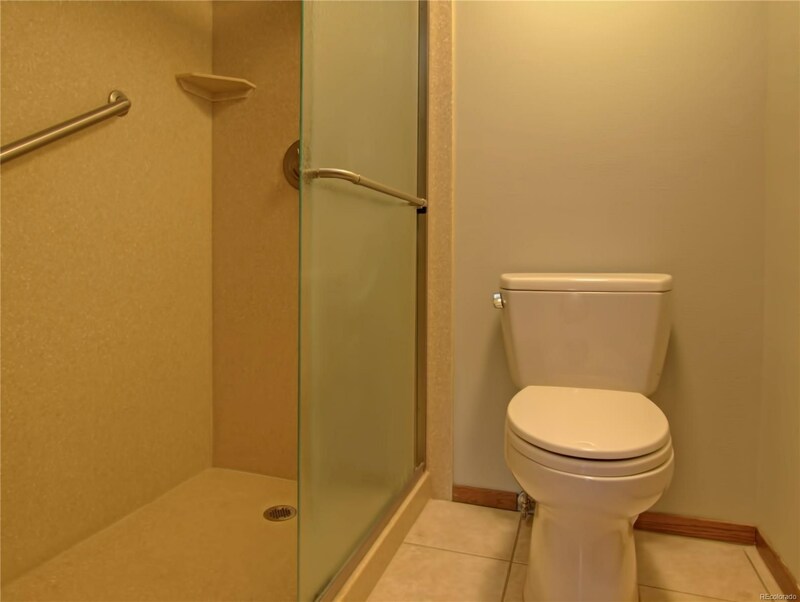 Property has been completely updated to include carpet, paint,flooring, bathrooms, kitchen, and Pella sliding glass doors. 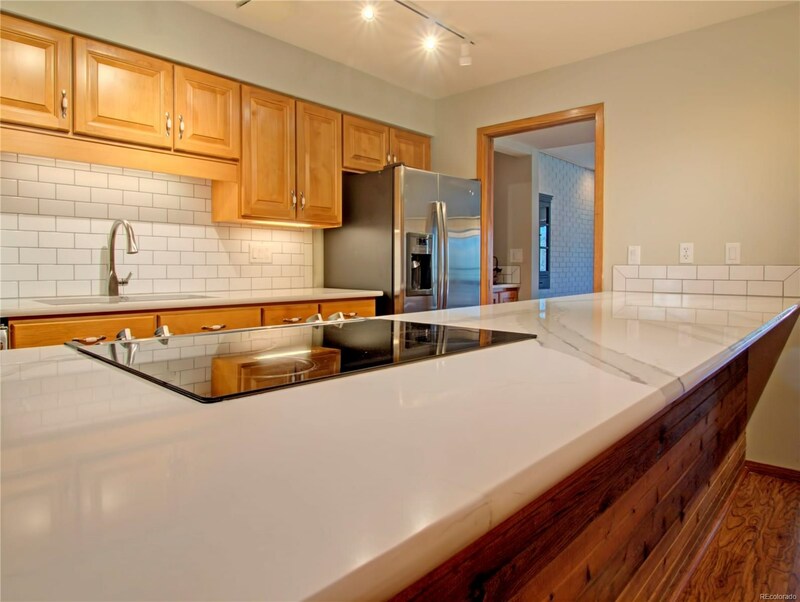 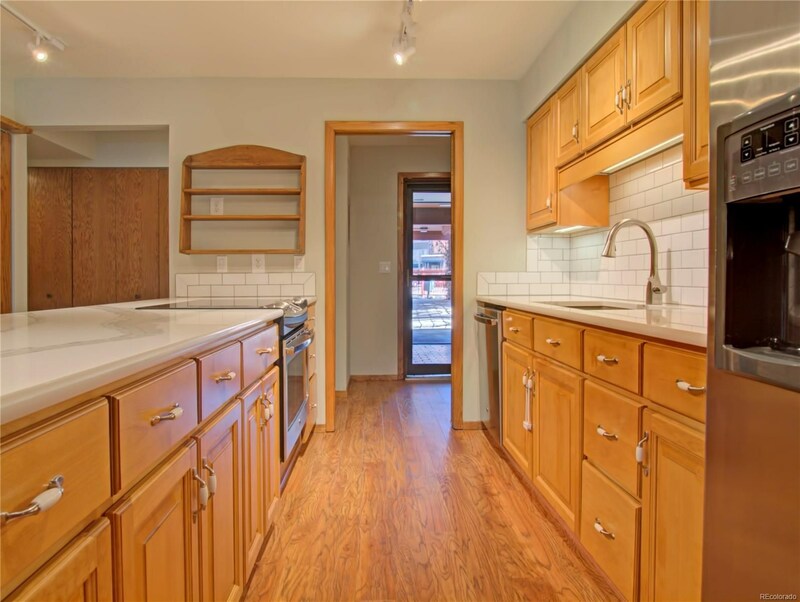 The gourmet kitchen features quartz countertops, stainless steel appliances, undermount lighting, soft close drawers, subway tile backsplash, undermount sink, smooth top range, side by side refrigerator, flooring, and lighting. 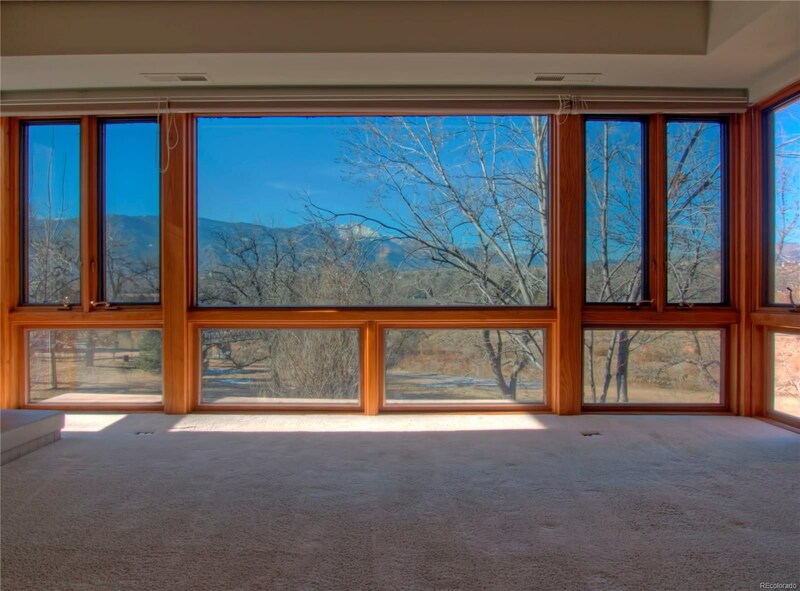 Living/dining room combo opens up to a row of windows that overlook Monument Valley Trail/Creek with unobstructed Pikes Peak Views.